I’m hoping for that to happen! I can (usually) afford the $100 it costs to get up to to WDW, not the $2500 to get to Asia! I want that Steamboat Willy bucket. So do I. But I saw that the first day the lines were 5 hours long! I don't know if I expect it to be there when we get there in 28 Days!!!! Sorry, got a little carried away. I made our dining reservations today (Oceano Breakfast the day we go into Tokyo, and Magellans on our last full day) and we picked up our Yen from the bank yesterday, so the trip is starting to get really REAL. PS. We used credit card points for the airfare for both our Hong Kong trip and our Japan trip. If you are disciplined with your spending, earning the bonus points/miles for signing up for various cards can go a long way! Spr175psu, MerlinEmrys, xdattax and 1 other person like this. It refers to this as being part of a collection. I wonder if that is just the general Holiday merchandise or if there is more pins coming. Got the DMC Incredibles 2 movie box and it had LE pins!! LadyBarclay, tiggeriffic, raikipins and 1 other person like this. Is that a new service they offer? That's really neat. Omg, I like this set better than what they have on the Shop Disney site! I like the Violet! Wow, not sure what the cost is on that, but what a great package! I am new to DMC this was my first official order back at the start of August. Such a great deal! I would 100% buy another one if they do it again. I feel like it was a steal! Less than $50 with tax and shipping. tiggeriffic and stitchismyspiritanimal like this. Did you know you were getting the pins? Did you also get the goldfish and mug? I had no idea what I was getting except for the movie and lithograph. With the price I wasn't expecting this much. I did get the goldfish and the mug in the box as well. MerlinEmrys and krand1276 like this. mickeymousje, a4matte, TheMickeyMouseRules and 1 other person like this. Are you trading any of yours for ones from the set? I am looking to complete the set, need Cinderella and Merida. Have Rapunzel and Tiana. Heart of Te Fiti… correct? Cute. Just looked yesterday and there was nothing new. I'm going to go and get one. Anyone else need one? If you are offering, I would very much like one. 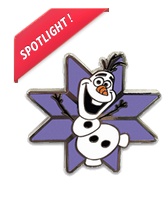 That new Moana pin is awesome!